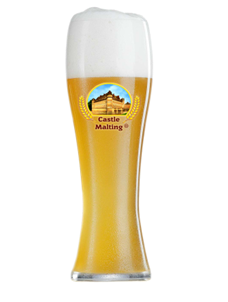 Blonde Beer (Hoegaarden-style) is a white cloudy beer, traditionally considered to be a summer drink. It leaves you a playfully sour and prolonged aftertaste. This beer is a bit bitter, with a ripe taste and served in a cool glass. Usually, it is consumed as an aperitif with a slice of orange or lemon. Separate the wort from the spent grain at 78°C. Step 4: Fermentation with Safbrew WB-06 at 28°C.